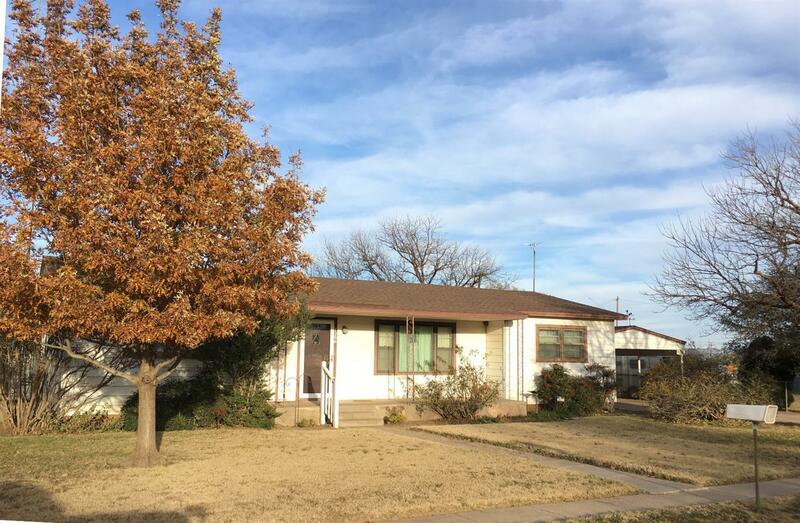 This is a wonderful home in a quiet community of Wilson, which is South of Lubbock. This move-in ready home comes with 3 bedrooms and 2 baths. It includes a large living room, dining area and kitchen. This large lot includes a two-car carport which can easily be closed in to make a garage. This great home has nicely finished hardwood floors and carpet in living room and one bedroom. This floor plan is efficient with large bedrooms, plenty of closets, plenty of storage and a combined mudroom and laundry. This large well maintained lot comes with an exterior storage room plus a large portable building (12'x24') and additional lot space on one side. This home also qualifies for 100% USDA financing which makes it easy to own.